The recent Mexican wolf count indicates that the population of Mexican wolves has increased by 12 percent since last year, raising the total number of wolves in the wild to a minimum of 131 animals. That number is among the findings of the Mexican Wolf Interagency Field Team (IFT), a task force comprising federal, state and international partners. From November 2018 through January 2019, the team conducted ground counts in Arizona and New Mexico that concluded with aerial counts of Mexican wolves in February. Among the IFT’s findings: 131 wolves are nearly evenly distributed – 64 wolves in Arizona and 67 in New Mexico. Last year, the team documented 117 wolves. This year’s total represents a 12 percent increase in the population of Canis lupus baileyi. There are a minimum of 32 packs of wolves (two or more animals), plus seven individuals. A minimum of 81 pups were born in 2018, and at least 47 survived to the end of the year. That’s a 58 percent survival rate. Eleven wolves were captured during the aerial operations. Seventy-nine wolves—60 percent of the population—wore functioning radio collars. The collars help researchers manage and monitor the population and are vital to collecting scientific information. The discovery of cross-fostered wolves was a bright spot in the annual survey. The IFT last spring placed eight captive pups into four wild dens to boost the genetic variability in the wild population. The team began cross-fostering in 2014. The Mexican wolf is the rarest subspecies of gray wolf in North America. It is listed as endangered under the federal Endangered Species Act. Once common throughout portions of the southwestern United States and Mexico, it was all but eliminated from the wild by the 1970s. Working with the Mexican government, the Service in 1977 began developing a captive breeding program to restore the wolf’s numbers. It started with seven wolves, aiming for the day the program could release wolves into the wild. That day came in 1998, when the Service released 11 wolves within a range called the Mexican Wolf Experimental Population Area in Arizona and New Mexico. In 2011, the program expanded to Mexico with the release of wolves in the Sierra Madre Occidental. An estimated 30 Mexican wolves now live in the wild in Mexico. Today, approximately 280 Mexican wolves live in more than 50 facilities throughout the United States and Mexico. They contribute to the species’ recovery and genetic diversity. In November 2017, the Service completed the Mexican Wolf Recovery Plan, First Revision. The recovery plan uses the best available science to chart a path forward for the Mexican wolf that can be accommodated within the species’ historical range in the Southwestern United States and Mexico. This revised plan provides measurable and objective criteria for successful recovery. If those goals are met, the Service will be able to remove the Mexican wolf from the list of endangered species. The wolf’s management would be turned over to the appropriate states and Native American tribes. 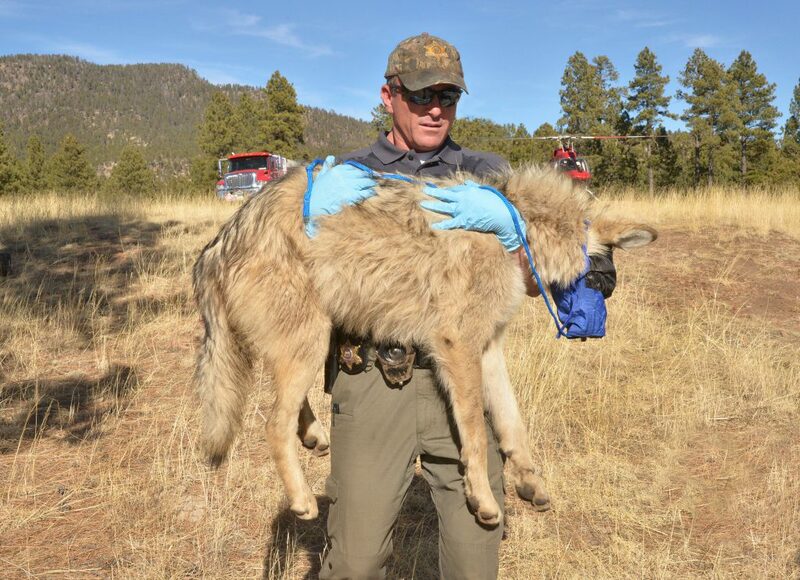 In addition to the Service and the Arizona Game and Fish Department, partners in the recovery program include the Mexican government, White Mountain Apache Tribe, U.S. Forest Service, USDA’s Animal and Plant Health Inspection Service – Wildlife Services, several participating counties, and the Mexican Wolf Species Survival Plan. *This is a joint news release from the Arizona Game and Fish Department and the U.S. Fish and Wildlife Service.